Many iconic aspects of the fictional Star Wars universe have infiltrated the everyday imagery of pop culture, including the memorable appearance of the Imperial stormtroopers. And while the monochrome sterileness of their glossy surfaced armor has been reinterpreted into art pieces repeatedly over the years, there’s something especially notable about The New Order sculpture series which distorts the stormtroopers’ ruthlessly unexpressive aesthetic into the likeness of African animals. Easily interpreted as a juxtaposition between the brutality of nature and that of the Galactic Empire, the actual intent of these pieces is only truly known by their creator, New York-based artist Blank William. “In all honesty, when I first started the Blank William work, I didn’t think too many people would see it”, admits the man behind the alias, William Kang. “I never believed art was an option”, he confesses, Kang having graduated from the University of Illinois at Urbana-Champaign‘s industrial design program in 2001. And while his artwork “began as doodles [that] I would do while in-between projects during my job as a branding designer”, Kang refined and evolved it, eventually building it into something uniquely his that he wanted to share. 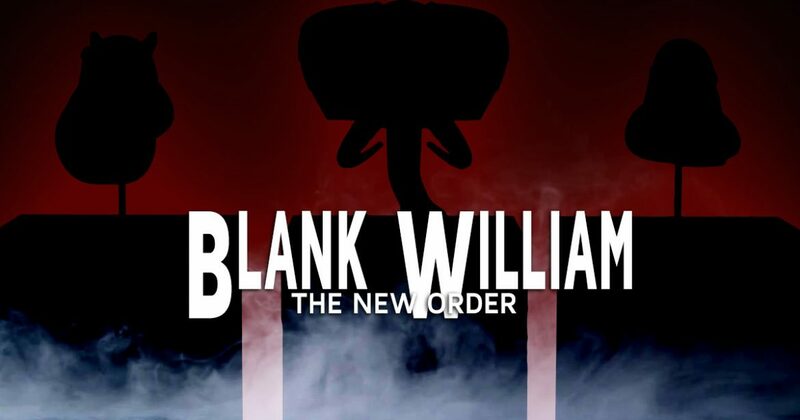 “I wanted to separate the work from what I did professionally”, discloses Kang, so “I chose specifically the name ‘Blank William’ for a few reasons”, stemming from how “the ‘Blank’ can really be viewed in two ways. It can be looked at as a first name, which most people think it is. Or it can be viewed as an adjective, describing this ‘brandless’ side of my work”. And while his art may be “brandless”, its clean lines and evocative subjects certainly make his sculptures memorable, a perfect example being his The New Order series. “I wanted to do something for the release of The Force Awakens“, Kang explains, further noting how he was “excited to see JJ Abram‘s take on the movie and wanted to create a project that would celebrate the movie release”. And that project was The New Order series, sculptural busts that merged the iconic armor of the stormtrooper with the unmistakable profile of animals. “I chose the rhinoceros first because the tough outer skin reminded me of armor”, he reveals. “Then I chose the other two animals”, Kang says, indicating the elephant and hippopotamus renditions, “because they all belonged to the now obsolete taxonomic order of mammals called pachyderms“. “After I put the work on my website”, Kang states about his The New Order computer renderings, “I notified a design blog I followed to see if they would put it on their site. From there it spread pretty quickly”. And while the artist admits that a “highlight was an email from JJ Abrams telling me I should make the pieces”, a turning point in their future occurred when “Vince [Su of VTSS] contacted me, asking if I would work with him to bring these pieces to life”. Having already “considered producing them myself in New York”, Kang continues, “after talking to Vince and learning more about his reputation, I felt I would be missing out on a great opportunity if I didn’t work with him”. With both artist and producer determined to make these designs into high-quality realities, work began on constructed limited edition sculptures in 100% stainless steel with MicroSpray coating. As for the true intent behind this project, “The New Order is definitely in reference to the First Galactic Empire“, Kang notes of the series’ connection to Star Wars, specifically how the name is shared by the name given to the political program and atheistic state religion adopted by the film’s fictional autocracy. “But in picking that name I also wanted something that spoke to the usage of animals”, he continues, thus hinting to the title’s connection to the biological classification system. “I realized that before television and movies”, Kang explains of this merged duality, “kids growing up probably had a lot more reverence for animals. It must have been mind-boggling to see a rhinoceros for the first time”, he continues, further conjecturing on how these “large animals around the world must have captured the imagination of kids everywhere”. Ultimately, “I think that reverence for animals has waned and has been replaced by pop culture”, Kang states. “I love pop culture and I also have [an] appreciation for the natural world”, he admits, adding how “I don’t think those two things have to be mutually exclusive.” And, Kang concludes, “that’s what the name The New Order represents”. Offered at the end of 2016, limited to an edition of one-hundred pieces, The New Order: White collection’s sculptures measure over one-foot in each direction, these works highlighting the sharp contrast between the black and white aspects by adding chromed touches to the final design. In preparation for the demand, a second coloration was simultaneously solicited, The New Order: Black variations embodying how, at the time, “I was obsessed with the black and gold material combination”, Kang admits. And while the works themselves enjoy an enduring life, exemplified through how an artist proof copy of one piece recently was displayed as part of a Jonathan LeVine Projects exhibition, how has this ongoing attention affected the artist behind these works, the man who truly believed that fine art wasn’t an option for himself. “What I’ve come now to accept for myself is that the definition of art is flexible”, Kang states. “The only thing I can control is being authentic to myself”, he continues, “and doing the best work I can do”.